Speaker Rebecca Kadaga has stressed the need for the Executive to respect the independence of Parliament, saying it is an inevitable balance required in strengthening democratic governance. Kadaga said issues relating to the independence of Parliament; its responsiveness in addressing service delivery needs of citizens should top the agenda of the upcoming Fifth World Conference of Speakers (WCS). “The upcoming conference should focus on the continued attempt by the Executive to water down the powers of Parliament and the need to affirm Parliament’s centrality in service delivery,” she said. The Speaker and Hon. 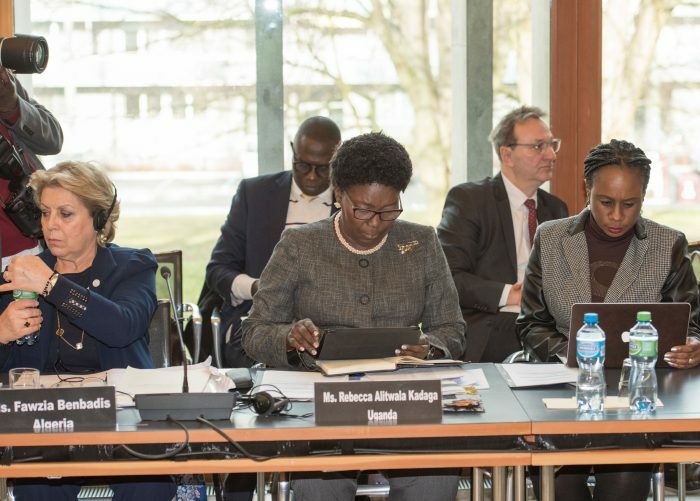 Mourine Osoru (NRM, Arua), including a host of several regional and world Speakers are attending the preparatory meeting in Geneva, Switzerland. 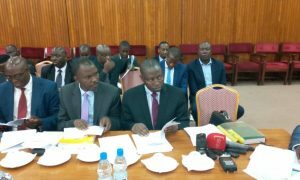 In a recent plenary sitting, Kadaga criticized the Executive for postponing the debating and passing of long pending Bills, which she said speaks to an attempt to paralyse Parliamentary business. In Parliament, government business takes precedence, and is stewarded by Prime Minister Ruhakana Rugunda. Kadaga urged her international counterparts to use the imminent conference to make a unified case for the independence of Parliaments in the globe, which she said is waning amidst growing assertiveness by the Executive. Speakers of the Inter-Parliamentary Union (IPU) member countries are in attendance, including Kenya’s Senate Speaker Kenneth Lusaka, who is making a bid for his country to host the upcoming WCS. 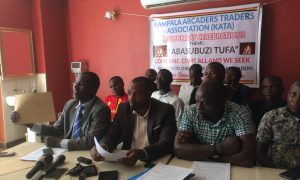 Kadaga said Uganda took a principled position to be an active member of IPU, an undertaking she said is manifest and was underscored by Uganda’s hosting of the IPU conference in 2012. The preparatory meeting is purposed to set the agenda for the WCS and among others deepen relations between the IPU and the United Nations, where the Speakers are seeking direct representation as National Assembly heads. MP Osoru, who doubles as the IPU Youth President, said young people should be included in the WCS deliberations. “As the agenda of the conference takes shape, the issue of youth in the world should receive our undivided attention…the world is supposed to discuss solutions to several challenges afflicting us [youth],” she said. 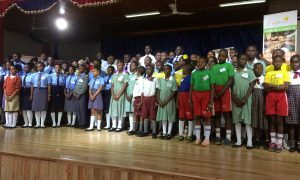 Kadaga reiterated Uganda’s preparedness to host the Commonwealth Parliamentary Association (CPA) conference in September.